Xzibit is out with the video to his new single ‘Hurt Locker’, off the Los Angeles rapper’s seventh studio album ‘MMX’, out later this year on Open Bar Entertainment/E1 Music. Watch it via YouTube below. 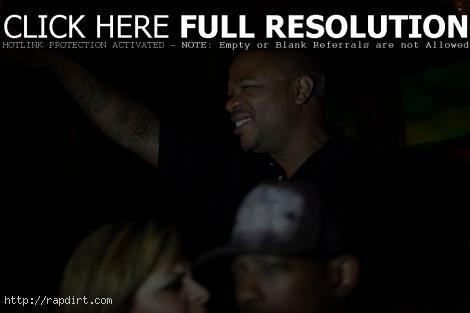 Xzibit, DJ Fingaz and friends celebrated the release of his new single and music video ‘Phenom’ at Bar Delux in Hollywood the other night. ‘Phenom is the lead single off Xzibit’s seventh studio album ‘MMX’, out later this year on his Open Bar Entertainment label. 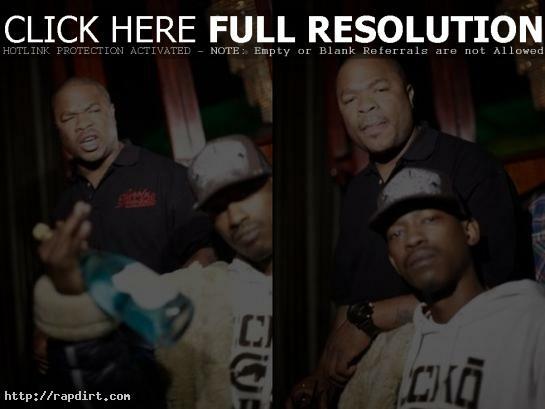 Behind the scenes footage of Xzibit shooting the video for ‘Phenom’ with Kurupt and 40 Glocc has been posted at 40’s YouTube channel. The song is the first release off Xzibit’s upcoming seventh studio album ‘MMX’, out later this year. Watch it below. Wow, so I wake up this morning and my phone is going nuts. I turn on the computer and find all this sh** about me “throwing Puffy under the gay bus” whatever that means. All this SPIN that you journalist are putting on the statements I made on a radio show to DIRECTLY effect a guy in a manor not intended is wrong. I got a call yesterday (which caught me off guard) from Diddy himself stating the club was an after hours spot called “Space” I believe. The rumor mill that has ground this bullsh** out to be the sh** storm that it is, is doing so on its own accord. Like I said at the top, I have no beef with Diddy. BUT WAIT… a bigger problem I see is the negative stance these hip hop sites and blog sites are taking when speaking of gay people in general. All I can say to that is :PEOPLE GROW UP! I do NOT like to spread hate and make it a point not to do so, so this is not the way I intended this interview to unfold. You heard it directly from me ladies and gents, I’m looking forward to the issues at hand that really mean something to both my fans and Diddy’s as well: ART & MUSIC. FOR as long as I can remember, I have wanted to have a REAL valentine. Even in school you wanted to get the most cards and nasty chalky heart shaped candies that said sh** like “I love you” and ” remember me”, but this is different. A day that is already made up to squeeze money out of a dude to show his “love” for the one he’s with. And not everybody that hangs out on Valentine’s Day is in LOVE. I think people forget the basics of being REAL to each other. I at one time thought that living with 2 women at the same time was the way to go for me, WOW… THAT SH** WAS NUTS! Come on man, Platinum records, world tours, and millions to back it up, Love was not part of the equation. As you grow and mature you start to realize that you deserve more and you not getting sh** from doing what you are doing, instead you are giving more of yourself away than you could ever imagine. I’m not a saint, but I have fu**ed up a GANG of good sh**, enough to know what I’m talking about now. I’m happy now with no problems, well no HUGE problems that I can complain about. I am gearing up to perform @ the KEY CLUB tomorrow and it’s gonna be a big show! Come down if you can. We gonna hit the stage like the fu**ing SWAT team, it’s a crazy show. As far as Valentine’s Day here is my final thought: “LOVE THOSE WHO LOVE YOU” it’s as simple as that. Ok so I’m trying to stay up to date with all this new sh** that keeps us in each others biz day in and day out!! Only god knows why!! But here it is, Some a**hole is using Xzibit already and IT’S NOT ME! SO IM USING “mrxtothaz” on twitter.com. Come on thru and link it up. Let me know if you are coming from this site or if you are coming from xzibit.com. It should be fun, I say all kinds of funny sh** throughout the day so come check us out. Follow the Leader. Pass it along and tell everybody to join. (If you bring 100 people my site I will put you in my top friends list for a week) XZIBIT here’s the link: twitter.com/mrxtothaz if you can’t find me look for post from Lady Di from the message boards. See you there. HAPPY NEW YEAR. NOW WHAT?? AS we go into this new year 2009 we are living in what some call the future and some call the present, case in point. If you go back and watch Twilight Zone episodes they date the year 1997 for us to be having flying cars and astronauts on other planets already. Ladies and Gents I am proud to announce we have achieved no such thing. In fact we still have no cure for the common cold, how far have we come? The Mayan Calendar says that the world as we know it will cease to exist in the year 2012, (in fact there is a film coming out about this whole subject) My dear friend Busta Rhymes predicted there was only 1 year left before the end of mankind in 1999. But the reality of things we SHOULD recognize about the times in which we live, ARE the election of a BLACK president, the fact the playing field has been leveled because both black AND white families are below poverty level during this holiday season. The fact that gas is fu**ing 2 bucks a gallon right now when 2 months ago we were selling Amway and Mary K products on the side to take care of the weekly needs. Wow. It’s amazing what can happen during an election year. What about BAIL OUTS??? If you could use 750 billion bucks, no fu** that, how about 1 billion dollars, raise your hand! I can’t imagine what kind of burden this is going to be for us and the generations beyond this. I hope and pray we can swing this economy upward in the next few years, because to be honest with you it does not look good. On a positive note I have to thank god my brother was released from prison and that he is on the right path to success. It will be a while before he gets to roll with me, but this too shall pass. I am a person who deals only in logic, I am totally objective when it come to an argument, but LOGIC is my balance in all things, believe it or not, everybody don’t think that way. I won’t bore you with details but just take that with you as a gem. Peace to Tray DEE and his family during this holiday season, I got your letter homie I’m @ you right now, (if you read this and can send the kite to him I would appreciate it>) and PEEDIE CRACK much love to the homie, he went in shortly after I made contact with him to do some work, Hold it down big dogg. (same rules apply if you can send this word to P crack fa me.) Alright yall, I’m about to go eat dinner with my fam, I’m getting yelled at right now because im trying to talk to you people!!!! TAKE CARE OF EACH OTHER, LEAVE SH** YOU DON’T NEED RIGHT WHERE IT STANDS AND KEEP IT MOVING. Merry XMAS and HAPPY NEW YEAR!!! Watch the sky, you can catch me there. HERE WE GO… I can’t lie people, I’m ready for ’08 to be over with!!! This was a ruff year for myself and a lot of other families as well. I know I’m not alone on this one. I won’t waste your blog reading time with a re-cap of all this years whack events, better yet I will sum it all up like this: “When you are good timing and having fun EVERYBODY wants to roll with you, when you have to deal with REAL LIFE, you tend to realize how many REAL people are around you. Not many.” That my friends is not a bad thing. Over this year my circle has become smaller, my focus has become sharper, I’m motivated. I have been in the studio with Bishop Lamont and Jay Rock, tons of producers (Terrance Martin, DJ Khalil etc. etc.) not just working on my sh** but giving support to their body of work. I met Young De from B-real’s new record “DON’T YOU DARE LAUGH” the other night at the studio. Good dude y’all seems like he’s got a good head on his shoulders, keep a look out for him branching off that CYPRESS HILL family tree. I am just chillin getting ready for X-mas other than that, I’m going skiing for NEW YEARS (and yes muthafu**as I know how to ski …so keep your Sonny Bono / watch out for that tree! jokes to yourself!!) I will drop some more words to you guys before I vanish for the holidays, stay focused.